Who likes Baby Back Barbecued Ribs? 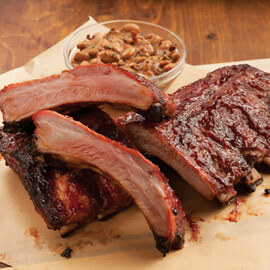 Amana Ribs are moist, succulent and meaty. They are precooked and vacuum packed with our favorite zesty barbecue sauce. And so easy to prepare - simply remove from bag, heat, serve and watch the smiles begin!